We'll help you save on Humania Assurance! Getting a life insurance quote is the first step in protecting your family’s financial future. Whether you want to learn more about life insurance and how it works, compare quotes or get a quote for Humania Assurance life insurance solutions, our brokers are here to help. Diverse insurance offerings : In addition to a variety of flexible life insurance products, Humania also offers many other insurance solutions. They believe in giving back : Social responsibility is important for Humania. Innovation : The company’s mission is to design and provide innovative insurance solutions to meet the changing needs of Canadians. Get a life insurance quote, ask questions, or compare coverage options by contacting a ThinkInsure broker today! Contact us toll-free at 1-855-550-5515 . Coined as “a leap to smart insurance,” HuGO takes a different approach to life insurance. It analyzes your risk profile and offers three ways to issue a policy once you get a quote – Hyperjet, Express, and Referred. This process allows you to save time, get personalized underwriting, choose from a variety of term lengths and have the flexibility renew, convert or exchange your policy at the end of the term. Learn more about HuGO life insurance here. If you’ve had issues getting life insurance in the past, this is the policy for you. Whether you have been declined or had difficulty getting life insurance coverage, this solution requires no medical exam, it’s affordable and easy to purchase. Features include – immediate coverage, premiums based on your actual age, disability and critical illness coverage is included, and more. Looking for flexible life insurance coverage? Then term life insurance is for you. It offers coverage that is tailored to your specific needs, and is renewable at many different time frames. The policy also comes with a number of additional benefits and flexible options – ensuring you get the life insurance policy that is right for you. Get A Humania Insurance Quote Today! Want to learn more about HuGO or other life insurance options from Humania Assurance? Get a life insurance quote today! Our brokers are always ready and willing to help you with all your life insurance policy needs. 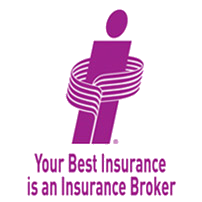 Contact a ThinkInsure broker today toll-free 1-855-550-5515 to get a Humania Insurance Quote or learn more about coverage options.